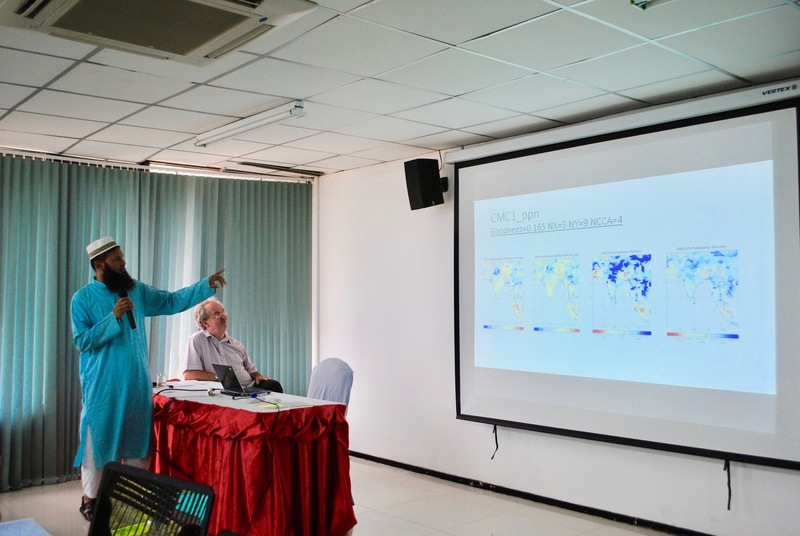 RIMES, with the UK Met Office, held a Foundation-Level Operational Seasonal Prediction for South Asian Region Workshop from 25 to 28 February 2019 at the AIT Conference Center to strengthen capacities in seasonal climate prediction in the region. 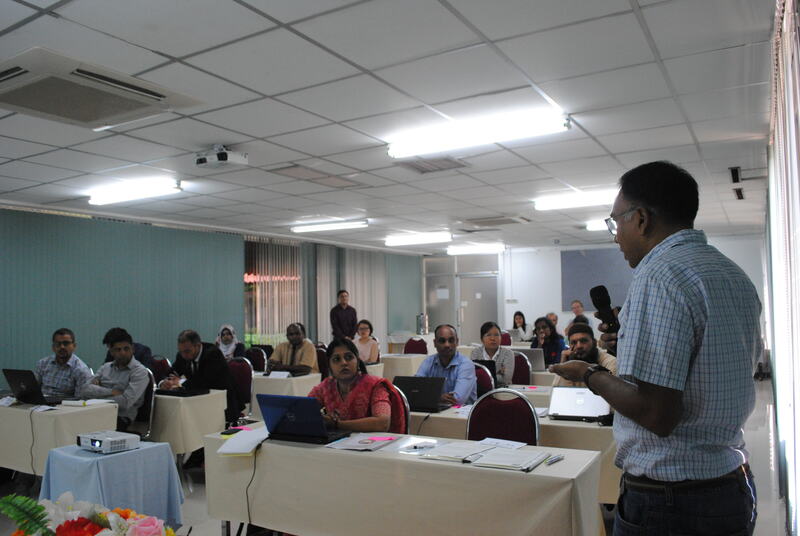 Sixteen specialists from the National Meteorological Services (NMS) of Afghanistan, Bangladesh, Bhutan, India, Maldives, Myanmar, Nepal and Sri Lanka engaged in learning-by-doing sessions to better use statistical and dynamic methods, particularly the Climate Predictability Tool (CPT), in deciphering monsoon drivers. 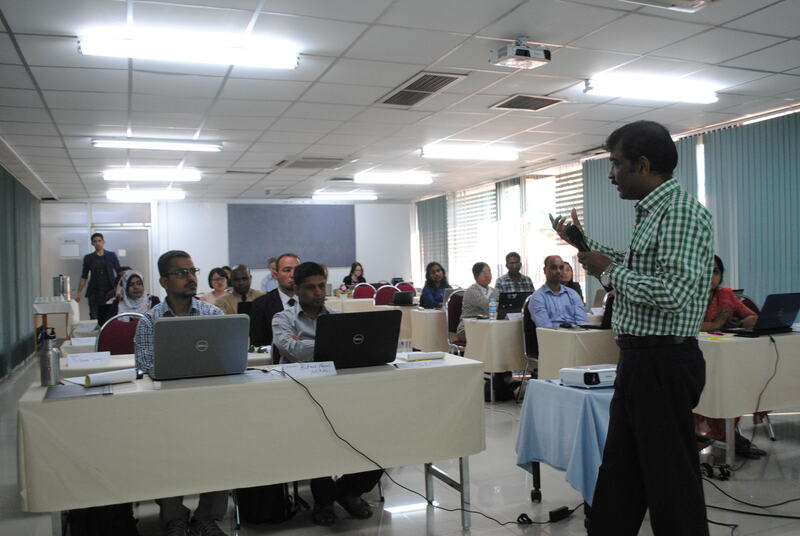 RIMES and UK Met Office representatives facilitated a workshop at the AIT Conference Center. With funding support from UKAid, RIMES and the UK Met Office are implementing the Asia Regional Resilience to Changing Climate (ARCC) Programme, which focuses on strengthening capacities, production and delivery of climate services. “The workshop was able to break down complex systems into practical application. The techniques we learned will be replicated when I return home so we can better forecast and verify monsoon predictions,” Divya Surendran, a junior scientist from the India Meteorological Department reported. Divya (far left) and 15 other technical specialists engaged in non-didactic activities to better process and interpret monsoon variabilities. RIMES and UK MET Office representatives held interactive sessions to fortify knowledge transfer among participants. Dr. Pai (far right) discusses the benefits of adapting global early warning systems and applying country-specific methods to optimize investments in risk reduction. Kabir (far left) and his colleagues presented their forecast readings as the culminating activity of the workshop. To further hone skills in interpreting CPT and other climate and weather prediction tools, RIMES and the UK Met Office will continue to implement capacity-building activities in 2019. The workshop is the first of a series of capacity-building efforts on strengthening weather and climate predictions under the Asia Regional Resilience to Changing Climate (ARCC) Programme. Funded by UKAid, the programme is being rolled out by RIMES and the UK Met Office. Photos from the activity can be found here.